Japanese theater is vibrant and exciting, with a wide range of unique genres to be enjoyed by both visitors to Japan and on tour at arts and drama festivals and theaters worldwide. From the stately refinement of No and the colorful spectacle of Kabuki to the avant-garde of the shogekijo and adaptations of Shakespeare or mainstream musicals, the world of the Japanese performing arts is thriving and innovative. A Guide to the Japanese Stage covers all the main genres as performed today, from traditional to cutting edge. A brief history and introduction to the features of each genre is accompanied by recommendations of entertaining plays that are accessible to non-Japanese audiences. Brief synopses are provided for many often-performed plays, and the best known companies, actors, playwrights, and directors are highlighted. The text is illustrated with 32 color pages and over 150 black-and-white photographs, and includes information on theater listings, how to purchase tickets, and which plays are available on DVD in English. 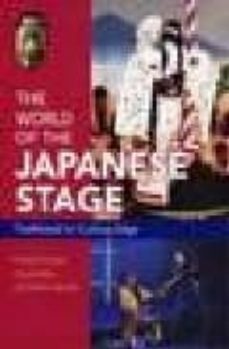 This guide is invaluable for anyone keen to experience Japanese theater firsthand, and will provide additional insights for students of Japanese theater and literature.